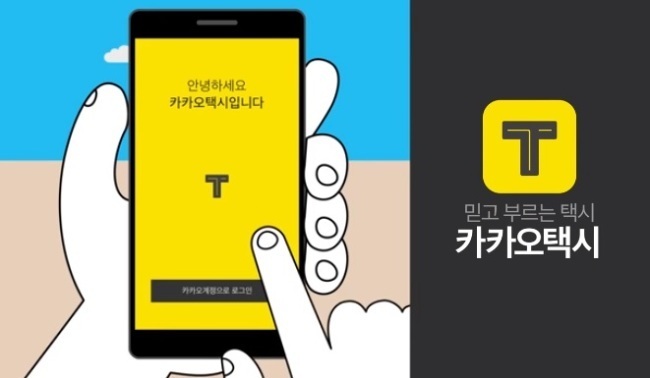 Kakao had postponed the official launch of its service after a taxi driver set himself on fire last month in protest against the carpooling service, which offers slightly cheaper rates than regular taxi fare. While the government has been seeking to create a consultative body to resolve the standoff between Kakao and the taxi industry, taxi drivers backed by some activist groups have remained adamant that Kakao should first pull the plug on the carpooling service. Following Kakao’s announcement of the suspension of the carpooling service, the ruling Democratic Party of Korea urged taxi drivers to join the talks. The unions of taxi drivers have yet to respond to the request. “We are expecting the taxi industry to reveal its position by the end of this week. … Starting from Monday, we will launch a social consultation body,” said Rep. Jeon Hyun-heui, who chairs the party’s special committee for resolving the standoff between Kakao and taxi drivers. The stalemate posed a political dilemma to President Moon Jae-in, a former labor activist who is now seeking to capitalize on the country’s edge in IT technology to address economic challenges. During his New Year’s press conference on Thursday, Moon said people should be more flexible about changing the industry landscape and more readily embrace the government’s efforts to ease regulations. Although South Korea has one of the world’s highest smartphone penetration rates, app-based ride-hailing services, such as US-based Uber, have not taken off here, mainly due to strong unions and tight regulations.